Update 12:52 p.m., August 3, 2009 with comments from owner Skip Schmalz. 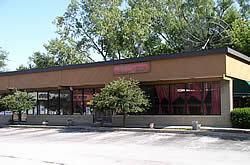 Park Forest, IL–(ENEWSPF)– Facebook was all atwitter Saturday and Sunday with rumors that Bixby’s in Park Forest was closing. Residents and members of the business community have told eNews Park Forest that Saturday was indeed the last day of operations. The bar and restaurant on Central Park Avenue has served residents and members of surrounding communities for over two decades. Sunday, the parking lot was empty and the doors were closed. Only the neon “Bixby’s” sign above the door remained lit. The move came as a surprise to all, including employees, who were unaware the business was closing until Saturday, according to one resident who asked to remain anonymous. Owner Skip Schalz confirmed Monday that Bixby’s has closed for good. According to Skip, Bixby’s saw a 20% decline in revenue after the no-smoking ordinances passed in Park Forest, and then county-wide. Taking the recession into account, Skip says Bixby’s has seen a dip in gross sales of 60-65% over the past two years. “It’s been a steady decline,” he said. Responding to surveys of Park Forest residents a few years back, Skip said he decided to offer more dining selections on the menu. “I was under the impression that we would be supported by Park Forest residents, because that’s what they wanted,” he said. Skip said he did periodic surveys, and during “busiest times” like Friday fish fries, only 3% of Bixby’s patrons were from Park Forest. “If you don’t get support from your local village, you can’t stay in business,” Skip said.